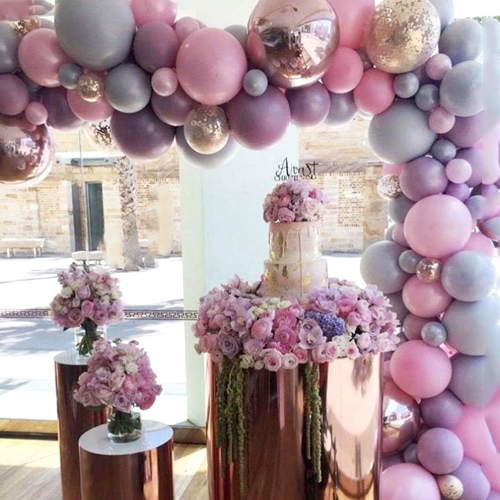 Email us your inspiration pics for colour matching! 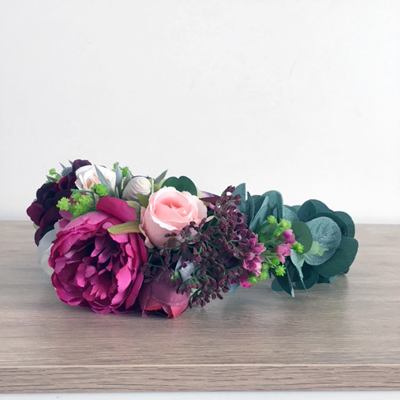 We will send you a photo of a flower selection for approval before making. 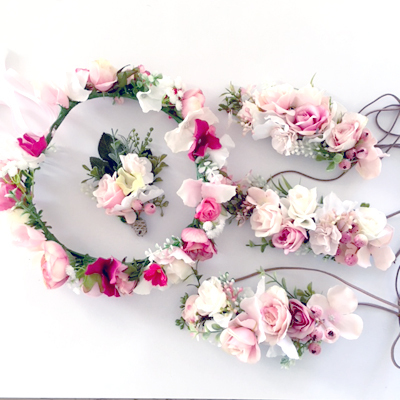 Order your own custom made flower crown here! 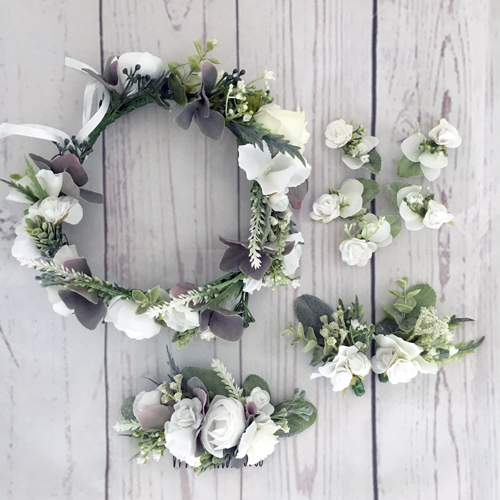 Order custom Australian handmade floral crowns and floral head pieces here for all occasions such as weddings, baby showers, hens nights, maternity shoots, races, matching mummy and baby photos, birthdays, engagement parties, debs and other special events. 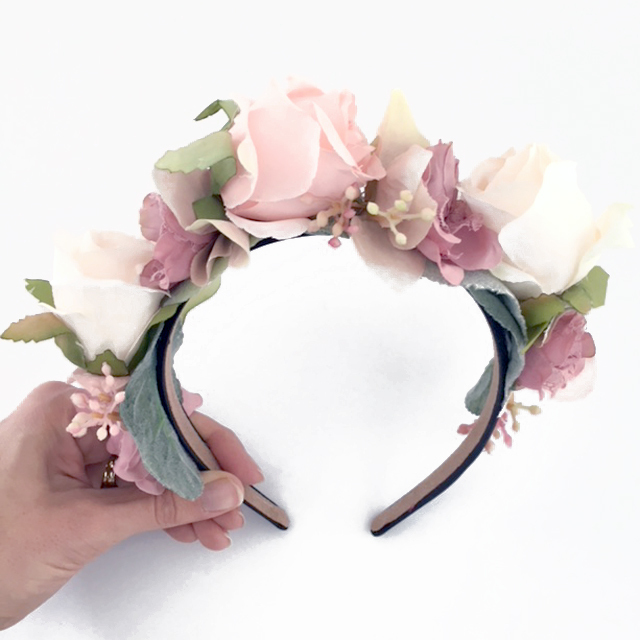 Whether it be changing a colour of one of our designs, or a completely new head piece, Please ♦email us♦ with any custom questions, and feel free to email a photo of your design ideas/ colour scheme for us to match to. As a custom order we can make anything suiting your imagination. 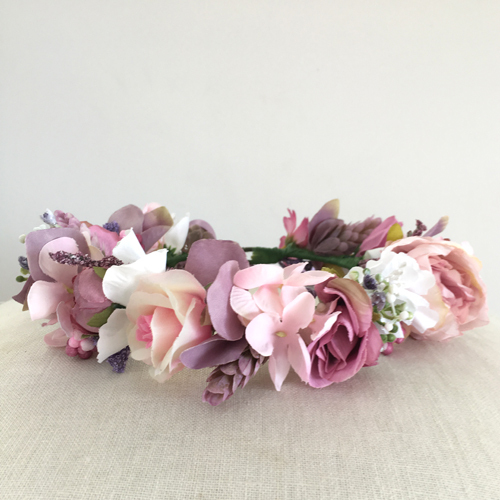 Here are some questions to think about..
Do you want your crown thin/subtle, medium, or large/statement in size? 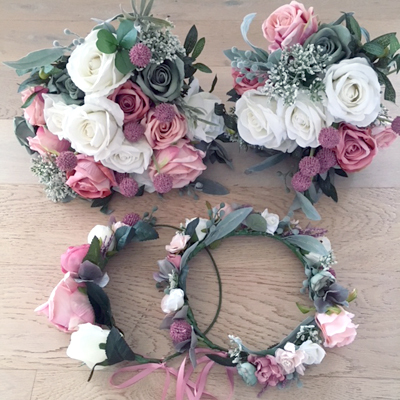 Do you want greenery/foliage included or only your preferred colour flowers? 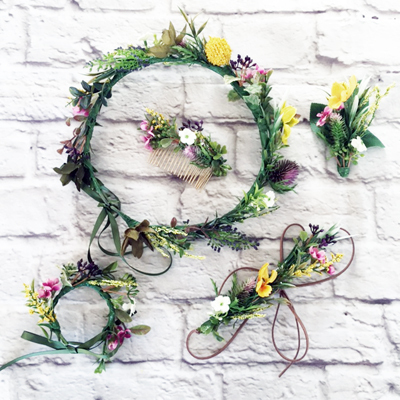 Do you want a full wreath (with or without a ribbon at the back) or the flower set to the side/rear? 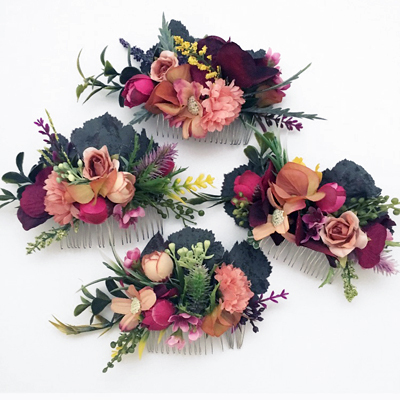 Do you want specific flowers, e.g. natives or blossoms? This may involve an additional fee to order in if we don’t stock these. 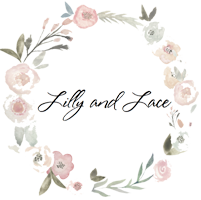 With your order, please include as much information on your idea as possible, that way we have the best chance of making to your liking. Please be aware that there is an element of design left to our expertise regarding how the final product will look. If this is something you want total control over, we would encourage you to choose a crown from the website, where there are pictures showing the final product. 1. Please order via our Custom Page HERE, and select the appropriate template. Each template will give you further information about colours in stock/sizing/design layout available. 2. Please go through the checkout as normal. You can pay by Paypal or Direct Debit. Please remember to include in the checkout message box any specific information relating to your order. 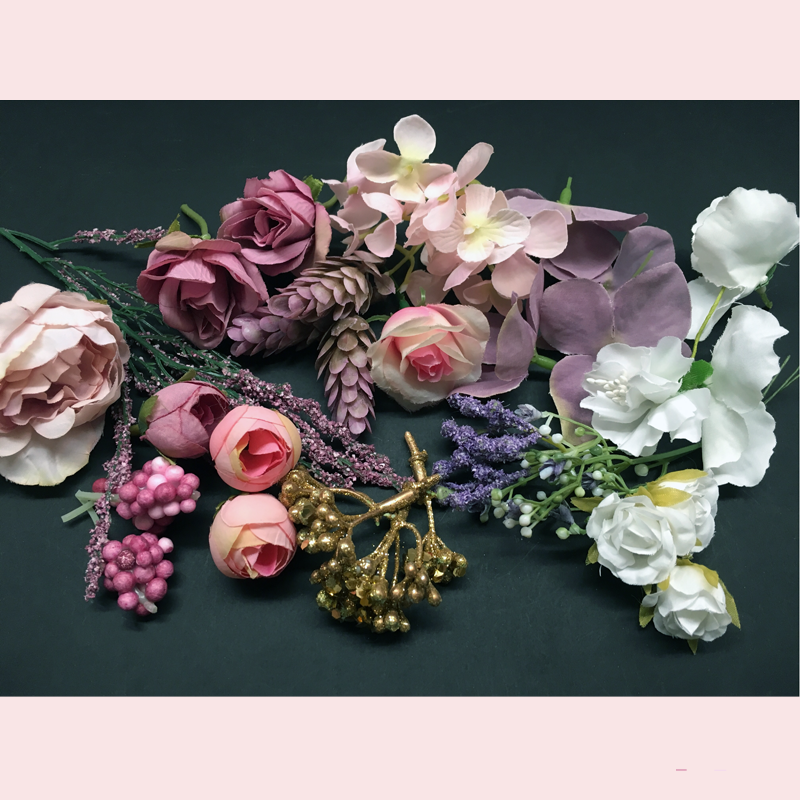 Including colour preference, thin/thick, foliage yes or no, photo preview yes or no, date you want to receive by, mention you will email some photos for ideas, etc. 3. Expect a 1 week turn around for custom orders, provided that the colours you are choosing are in stock. This is your last chance to give any further information as once we have made your crown, theres no changing your mind, sorry! 4. Postage is an additional 1-2 days by Express, and approx. 1 week by Regular Post. Once posted you will receive a tracking number. 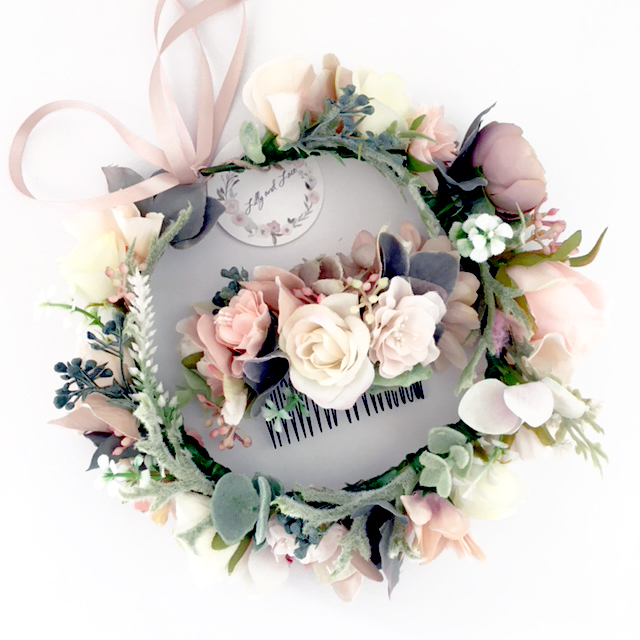 Please note that by choosing Express this doesn’t mean your order will be rushed, there is still a 1 week turn around time as we receive many custom orders. Please note custom made items are not refundable, please choose your preferences carefully.